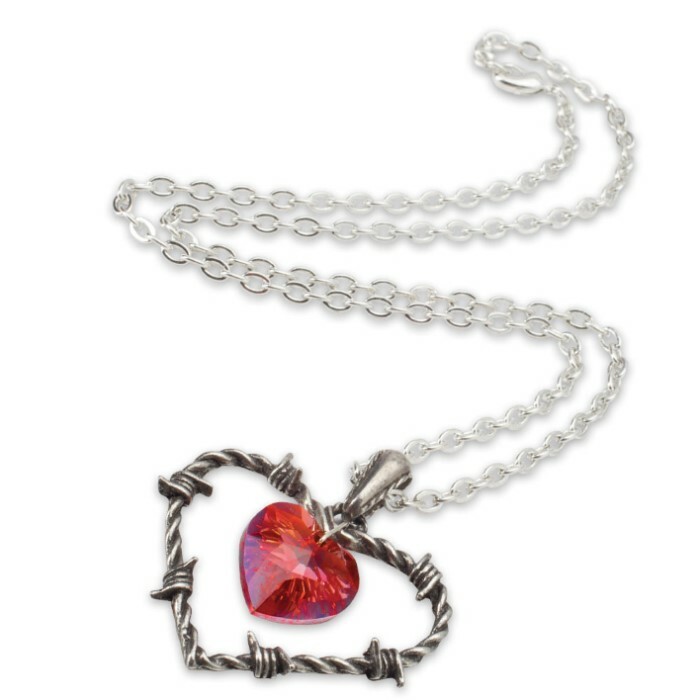 A cruel bouquet of barbed wire ensnares the anguished crystal heart and torments her forlorn lover. 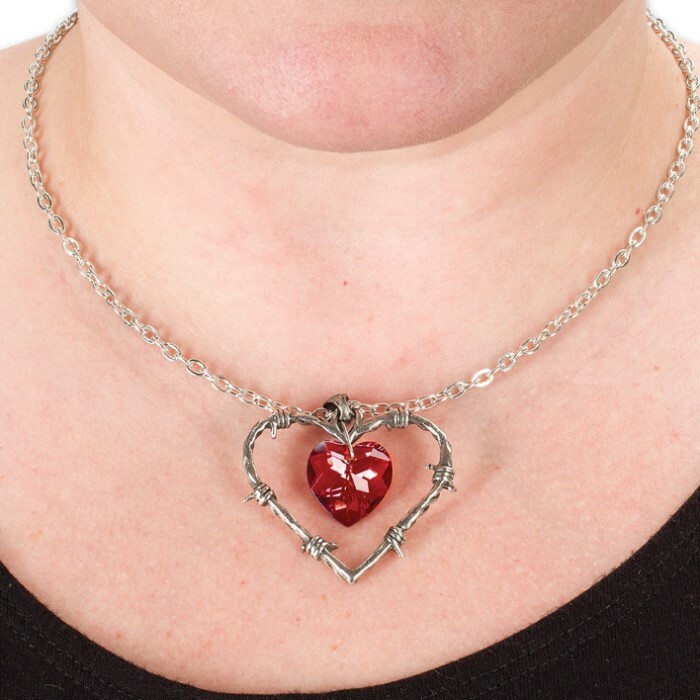 Our Love Imprisoned Necklace features a delicately sculpted, barbed-wire heart, holding a hanging red Swarovski heart shaped crystal. 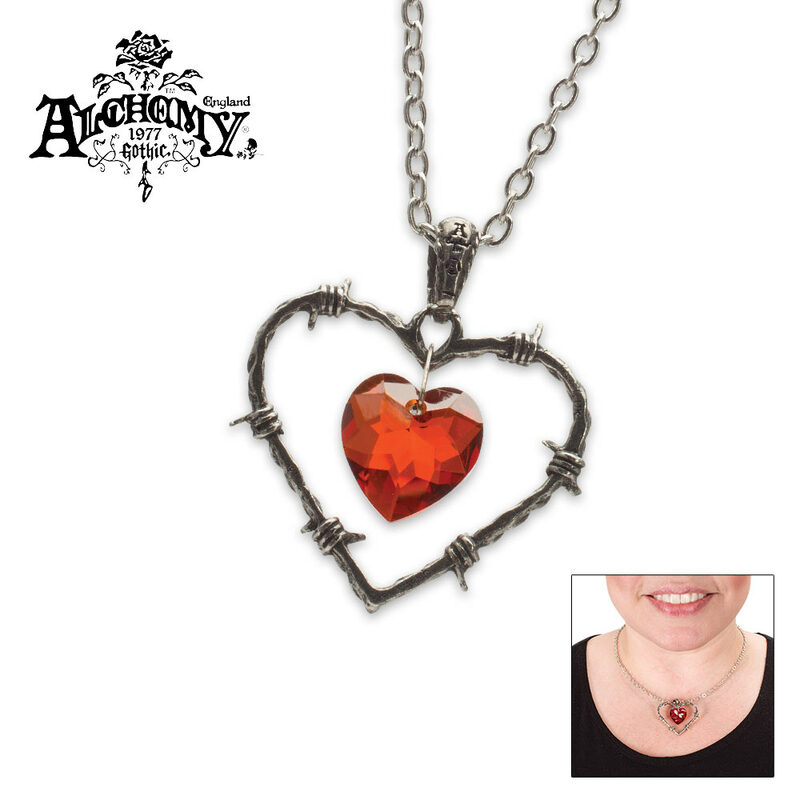 Add this attractive Gothic necklace to your wardrobe.